How to Answer "What Is Your Greatest Achievement?" Taking an interview can really be stressful because you are expected to be precise in answering the questions. However, you can come up with very appropriate answers to questions like, “What is your greatest achievement?” if given time. There is a high chance that this question will be among the list of questions. Interviewers are usually looking for your capabilities as a person especially on past achievements which they use to determine your performance in the future. The interviewer will not be interested in your humility but your achievements! It is a time to sparkle! Unless they have specified in the beginning, the interviewer’s focus is not certainly in search of an achievement related to work. They are only looking for evidence of an achiever! However, they may expect something related to your profession. They want to know the impact you have created elsewhere by what you do. They want to be sure that you can own a project and lead it through to its success. They want to hear you talk of big achievements and the role you played in getting things work. Did you credit others’ efforts? Did you do the project in an ethical manner? The reason you chose the given achievement. What did you do to make this achievement? Were you resourceful in your achievement? Is your achievement reflective of the requirements for this job? Are there leadership qualities in your description? Is there credit given to other members? Are you seemingly happy about what you are saying? Does it feel genuine or vague? It is important for the interviewee to choose an achievement that is evidently true, something that one is proud of. It is important to exude calm and confidence and tell the story naturally. This relives emotions about the achievement and shows passion through an engaging talk with the interviewer. This way, the interviewer will be able to tell that the interviewee is genuine and even give more time for explanation. The interviewer is looking at the benefits the candidate is bringing to the organization or wherever. The job requirements should be the biggest guide to the interviewee’s answers. In the achievement, interviewers should learn how much the interviewee is willing to sacrifice to make progress. Let the interviewer see that you has the interest and determination to make a success of any job. A recent achievement in a certain project shows continuous development. When the interviewer learns that a candidate is talking of an old achievement rather than a recent one, they may be reluctant to engage more. A recent and relevant achievement is a great plus in the interview process. It is therefore important to think wide and bring out the best of the recent achievements as required. An interviewee should not focus much on the negative side of a situation which was successfully overcome. It is important to dwell on how it was a success story. Showing professionalism and seeing everything from a professional point of view is a great selling point. The interviewer should see optimism amidst challenges with the ability to offer solutions in a prudent and cheerful manner. Consistency is very important when giving out answers in an interview. The interviewer looks for an answer with specifics and not just a generalized piece of information. Talk of the achievement and individual contribution on how the achievement was realized. Explaining the “what” and “how” the achievement was made in that order is always a defining element. 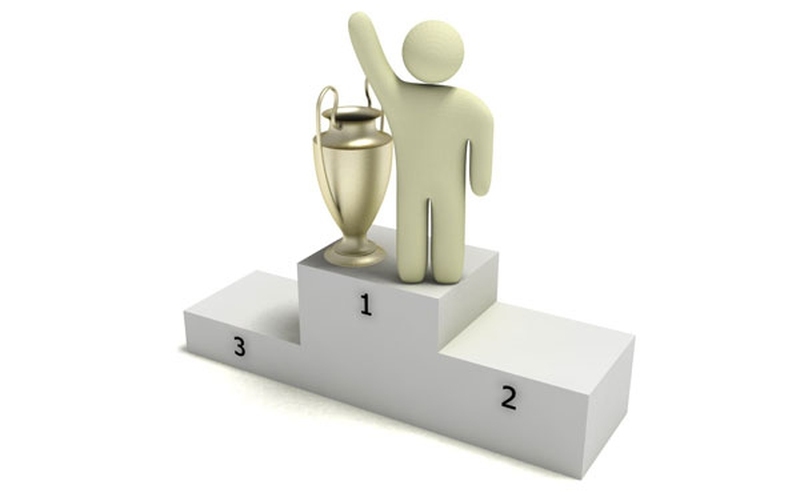 It is not wrong for an interviewee to list a number of achievements in the interview process. If that is the case, one should freely talk about them without a reserve for any. However, this should be done in an organized way. The interviewer should see how the interviewee chooses from a list of achievements but successfully come up with a short list of what could be considered the best. There are many life accomplishments. While all may be good ones, it is important to choose one that relates closely with the anticipated position. This is always an added advantage should there be stiff competition for the post. The requirements in the roles can guide an interviewee in making the right choice of an achievement to talk about. The relevance should be seen in how it meets the needs of the organization. Obviously, any achievement comes with a lot of challenges. The interviewer should see that the interviewee is a problem solver, providing solutions at every stage. The ability to overcome these challenges is something that interviewer will happily open their ears to listen to. Expose every detail and show how it was an impediment but was finally overcome. Of course, any achiever did not do a project blindly. It was not pure guess work; otherwise, it can taint the whole achievement. Explain why not anyone could have succeeded. Letting the interviewer know about good management skills and ability to learn fast can really be a selling point for anyone. When these skills are strongly related to the position, it will leave a very positive impression. My achievement on academic grounds was a successful completion of my studies in Geology. Professionally, I have successfully adapted in one of the developing African country while training and supporting the local people to embrace our company operations. I also did this in Asia and they were both a learning experience for me since I was able to deal will my fears while dealing with different people. To be successful in the oil industry, one needs an outgoing character. I love visiting many places and learning from different people. I am glad to inform you that I know a lot about cultural diversity. What I consider to be my biggest achievement is my great relationship with customers. They always knew I will give them the best service and that I was ready to do anything to sort them out. I always placed myself in their shoes and gave them what I would have expected if I was a customer. Despite the many challenges I faced in that company, my customers gave me a reason to smile. Server responsed at: 04/18/2019 10:43 a.m.